Who Is JustCloud - Can You Trust Them? JustCloud is an online backup product developed by Just Develop It company. They are an UK based company in Whiteley, Hamsphire. Their CEO, Chris who has the passion for badminton leads 159 happily and friendly staff in JDI. JDI started their business back in 2007 with the aim to create and provide a simple online solution to the complicated internet world. They believe the key to success is simple. I can’t agree more as it does no good if we add more complicated and sophisticated stuff into ours already chaos world. The mission is simple here; Take a sophisticated service or product, rethink it and develop an enhanced service or product which is clean, simple and easy to user. On top of that, it has to be affordable and effective. No one needs to pay for something that can’t work nor anyone need to pay a big chunk of wealth to own them. Who’s On The Team? Are They Capable? 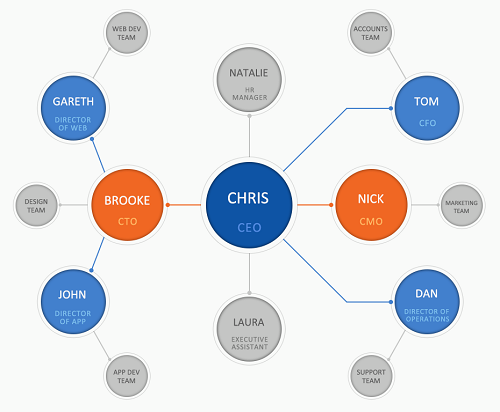 You might be expecting a conventional organization chart which is something more or less looks like a family tree. Well, you’ll be disappointed. In fact, this is much simpler than you can imagine. I guess you can see the whole picture here. Who’s in the highest management and who’s in the technical side. This is a clean way to illustrate JDI company structure. 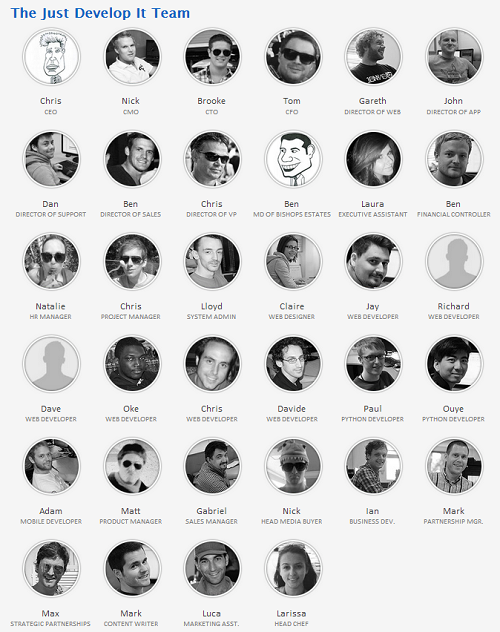 If you need to know them in faces and in details, click the picture below. What’s In The Menu For Us? Sorry guys. Although there are currently 20 ongoing projects and products under JDI umbrella, but none is for us. Why? I thought they are providing solution to me? Yes. 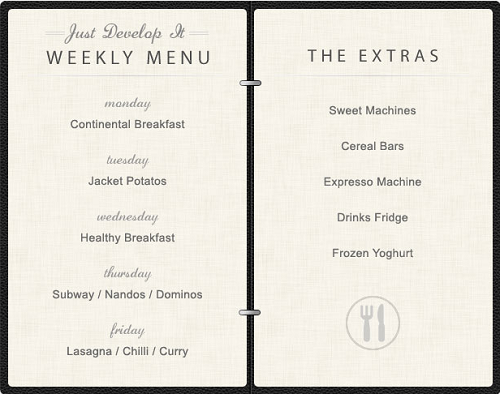 But what’s on JDI menu list is actually a real food menu list for their staff in the company. Nobody goes hungry in Just Develop It. Great. Now I see why there’s 159 happily working staff around. By now, I guess you and me already have some background knowledge and information about who’s running JustCloud and how they make things going. I believe a good product is back by a good parent company. By knowing the people behind the product make us understand more on the product or service we are using daily. This make us appreciate and certainly are another way of showing our support to the hardworking people. If you need to know more about JustCloud, the backup and cloud storage solution for me. Check out the JustCloud review.